> No colour samples selected yet. Please search for sample first. Pick a colour or search by colour code. Sort our products by application or feature. Sort our products by size. Proceed to our online tools and digital information. Fill in the email address and password associated with your Mosa account. Wrong email/password combination. Please try again. 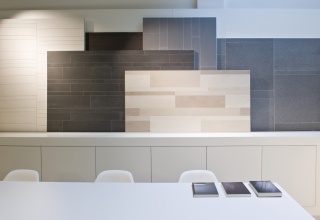 The Mosa Design Studio caters specifically to architects and clients. 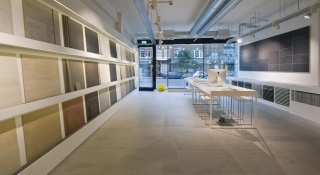 The Studio will be glad to inform you about the many options for installing ceramic tiles. Here you can find our complete tile collection for walls, floors and facades and the latest innovations in the field of tiles. 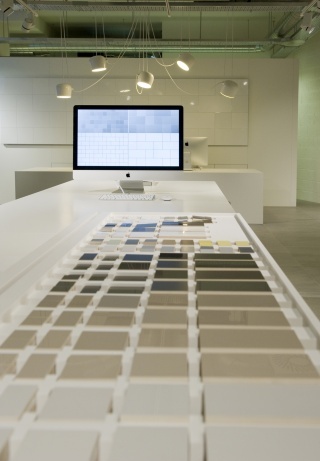 The Design Studio can also provide you with installation advices, colour samples and project-related presentations, offering designers who enjoy using tiles in their creations a complete source of inspiration. You are always more than welcome to stop by for a consultation. In order to serve you better, we kindly request that you schedule an appointment first. You can phone directly to make an appointment, or fill in the form below. We will then contact you to schedule an appointment. Currently there are no events scheduled.